There are endless things that you can make with pallets! A Pallet swing is one of the best options. 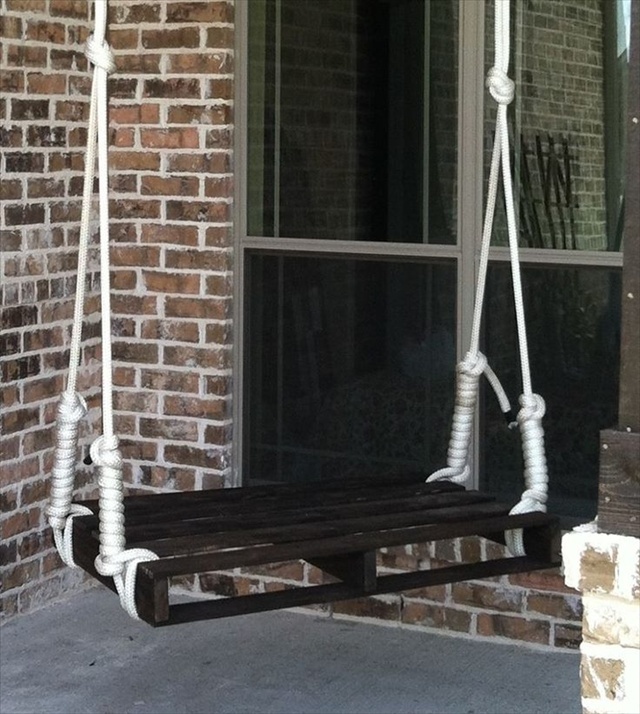 You can make an amazing and a low price pallet swing to enjoy outside in the fresh air. Swinging is all time favorite activity for many people and you can especially you can enjoy during summers swinging and enjoying. There are a number of ways you can make the pallet swing. The easiest is to be as simple as just using a pallet and rope. It is a very simple and quick project. The next step is to Measure the size of cushion you’re putting on the pallet or to exactly find out how many do you need to make the swing. You can use two pallets for a simple pallet swing. Now you can Slide the 2 x 4′s through the inside of the pallets, one on each inside edge of the pallet and one through the middle. You should wear the safety gloves as now you have to Screw the 2 x 4′s to the sides and middle of the pallet. Now you need to cut off 2 x 4′s that are hanging past the length of the pallets. The next step is to drill holes in the four corners of the pallet, both top and the bottom boards of pallets. It should be enough so that rope can be easily fixed. Now you can tie the rope firmly to tree. 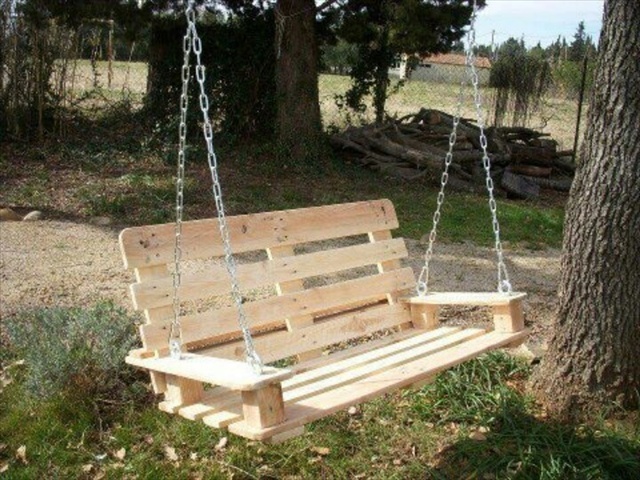 A beautiful pallet swing is ready to have fun.